John Romley, Aakash Shah, Paul Chung, and colleagues found U.S. families provide nearly $36 billion in uncompensated medical care at home to children who have special health care needs, according to a large national study. 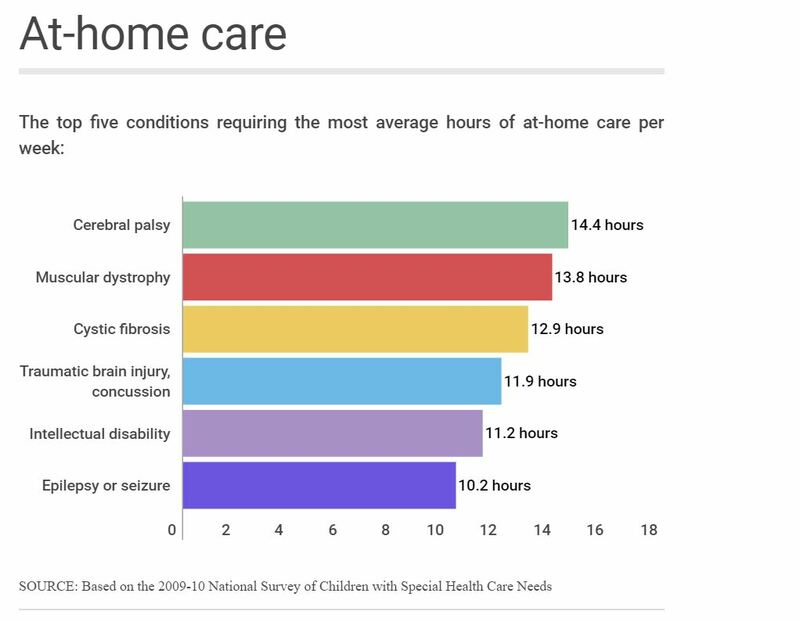 Many children with special health care needs (CSHCN) receive abstract health care at home from family members, but the extent of this care is poorly quantified. This study is the first to quantify the volume and cost of the children’s in-home medical care. For the study, the researchers analyzed data collected in the 2009-10 National Survey of Children with Special Health Care Needs. The survey results were based on telephone interviews with a sample of 40,242 parents and guardians of children with special needs. About 11 million U.S. children have special health needs. Half of them – 5.6 million – receive at least 5.1 hours per week in medical care at home. Furthermore, the researchers found that 12 percent of the children receive more than 21 hours per week of care – largely for conditions such as muscular dystrophy, cerebral palsy, traumatic brain injury or concussion, intellectual disability or cystic fibrosis. These often are in combination with other health conditions. Collectively, the families lose more than $17 billion in income each year, the researchers determined. The full study is available at Pediatrics. A press release on the study is available here. Citation: Romley, J. A., Shah, A. K., Chung, P. J., Elliott, M. N., Vestal, K. D., & Schuster, M. A. (2017). Family-provided health care for children with special health care needs. Pediatrics, 139(1), e20161287.